My mother is an endless source of knowledge about spices and Indian Cuisine. Since I was little I’ve been her right hand in the kitchen and I’m so thankful for everything I’ve learned from her. 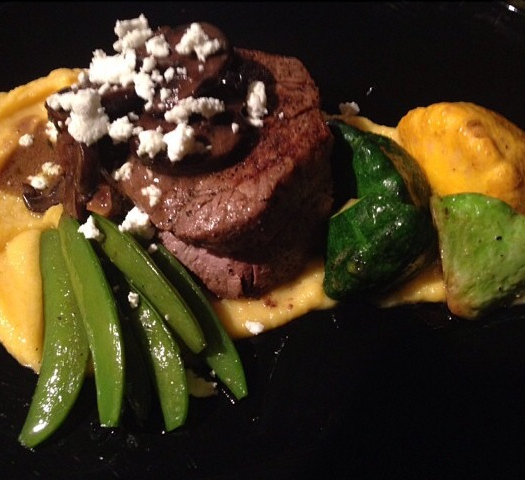 I try to fuse the Indian cuisine I grew up with in American dishes. 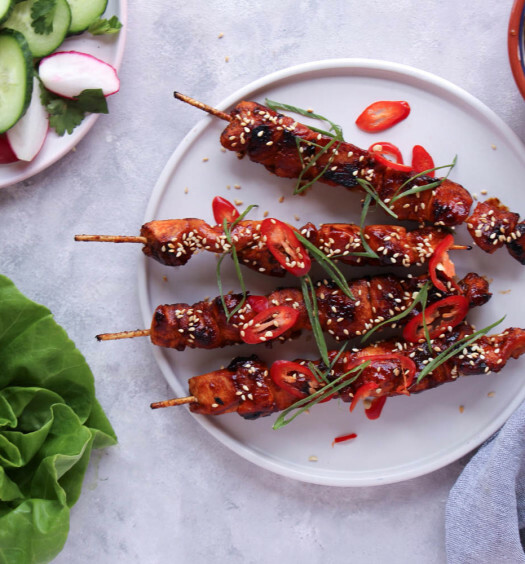 It’s a great balance and such a fun way to experiment with the spices I’ve grown up with. My mum is the Masala Queen, her knowledge about Indian food is incredible and her willingness to share it is generous. She is always cooking and experimenting in the kitchen, which is probably why it comes so easy to me. Mum always let me taste her dishes throughout the cooking process and asks me questions about the spices and if I can taste specific ones which allowed me to learn their flavour profiles in different dishes. I learn how different spices work together and how some don’t, when they should be added, how long they need to be cooked for and what to pair them with. There’s so much to learn about spices and I’m glad I started tasting at a young age. When my mum makes a temper, which we call a “Tadka” with hot ghee (homemade, of course!) mustard seeds, curry leaves (homegrown, of course!) and other flavourings based on the dish; I fall in love with Indian food all over again. The aroma’s from the temper are so captivating and I’m immediately excited to eat whatever she’s making. It’s the most traditional way to extract flavours from spices to enhance a dish. Since this is my favourite aroma and flavouring method, I try to infuse anything with it! I had pumpkin puree left over from thanksgiving and I decided to add an Indian flavour to it. 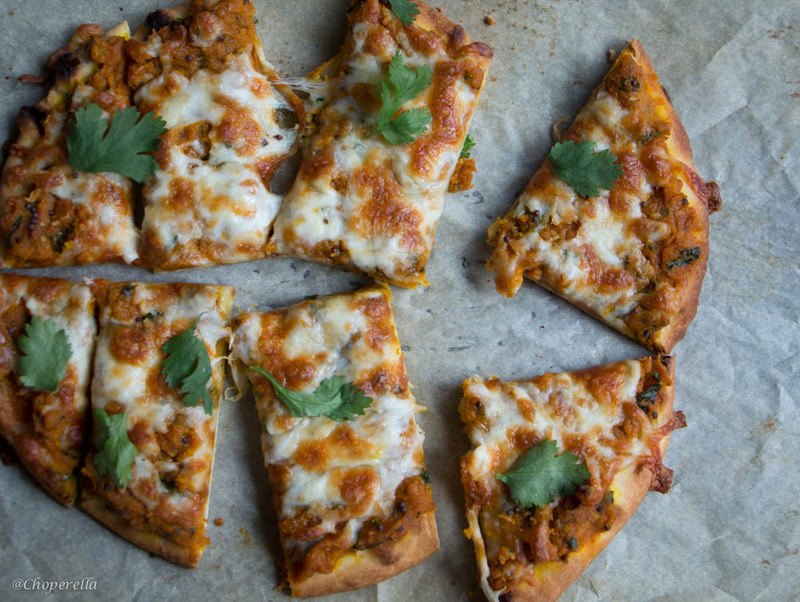 Using the spiced pumpkin puree as a base on top of a naan for a pizza and topping it all with cheese, is delicious. 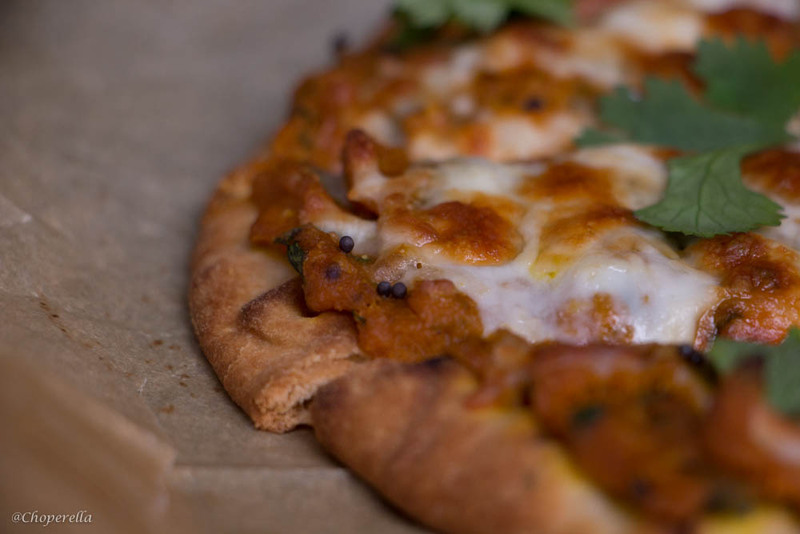 The sweetness from the pumpkin pairs well with the spices and the cheese and adds a delicious creamy texture to the naan pizza. 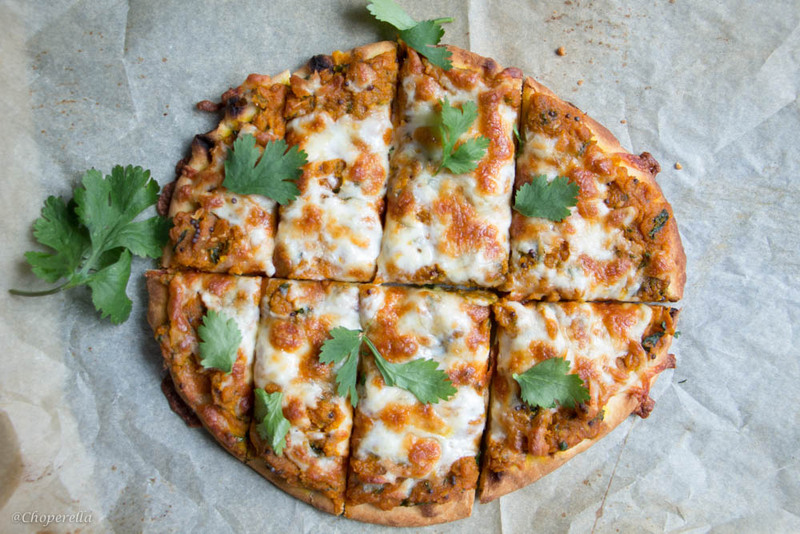 This tempered pumpkin naan pizza is a great vegetarian option for dinner, you can use any pizza base, but I find naan so convenient. It gets crispy and can hold toppings well. Preheat oven to 500F and leave a sheet tray (or pizza stone) inside to heat up. This will aid in getting a crispy bottom. Heat a sauté pan on medium heat. Add the ghee and when it’s melted, add the mustard seeds, garlic and ginger. Stir and keep moving around. When fragrant, add the curry leaves, and cilantro. Then add the chili powder. Add the pumpkin puree and mix together with the temper. Add the brown sugar and salt to taste. If you want it sweeter, add more brown sugar. Spread the pumpkin mix on the naan evenly leaving a 1cm border. Top with cheese and bake for 15 minutes on the hot sheet. Remove from the oven when cheese is melted and slightly browned on top. 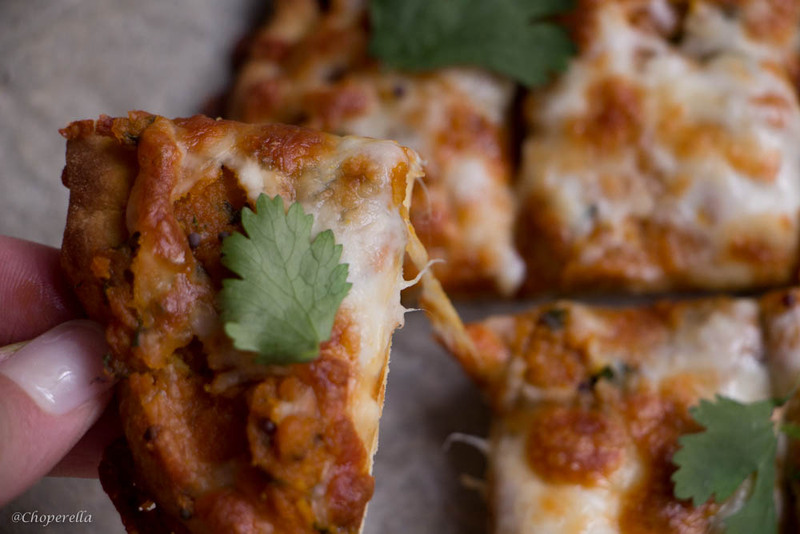 Garnish with cilantro, slice and serve. I wondered what you meant by tempered, and now that I know it sounds so delicious! Great idea for a pizza! This looks wonderful. There’s so much beautiful squash this season.